Sturdy wire candy display will help you maximize your candy sales! 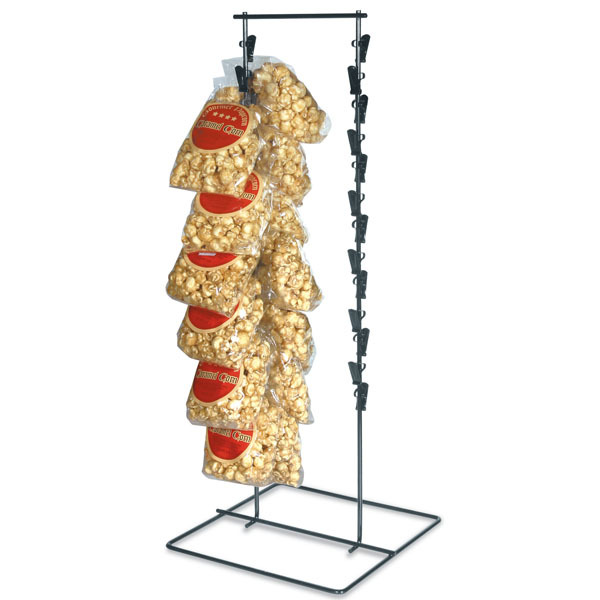 Position the Double Clip Candy Display at check-out counters or wherever food products are displayed. The Double Clip Strip candy display has a total of 26 clips (13 on each side), which are vertically positioned for two sided selling. For even more offerings, we ask you to spend some time to check out our whole array of candy displays at Specialty Store Services now.